"Carburetor Rebuild Kit, Demon, Mighty/Race/Speed, Holley, 4150 Model"
Notes: Fits models with mechanical secondary only. 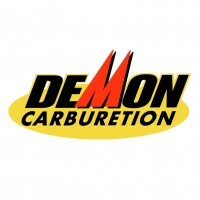 When it's time to rebuild your Demon carburetor, you'll need one of these Demon Carburetion carburetor rebuild kits. They include every possible gasket and seal you'll need, along with many parts not included in other kits, like detailed instructions and a power valve. Some kits include standard gaskets for fuel bowl, metering block, and bowl screws.